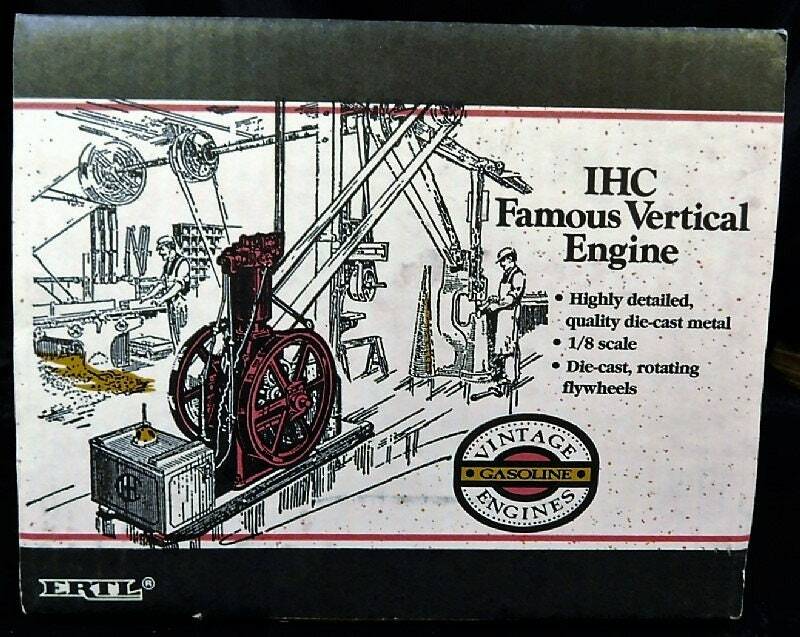 Celebrating an important early industrial/agricultural vertical gasoline engine from IHC that was built between 1905 and 1917, this 1992 Ertl "IHC Famous Engine" die cast metal 1/8 scale model faithfully recreates the original down to rotating flys. 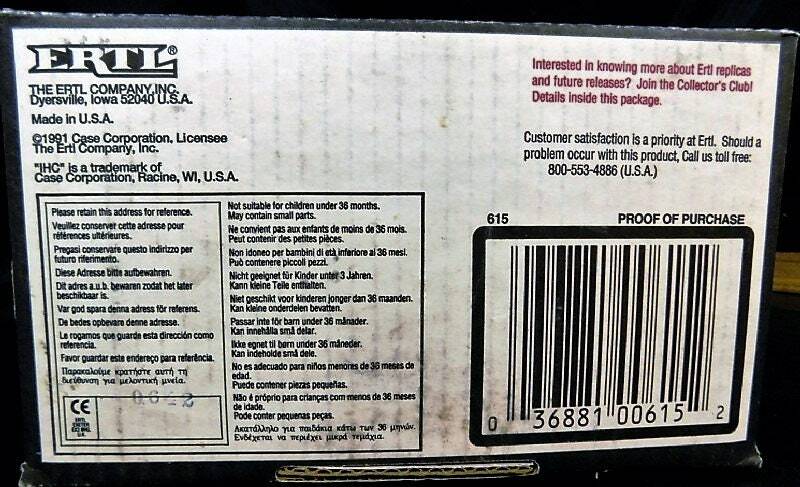 New in box, never been removed from box. 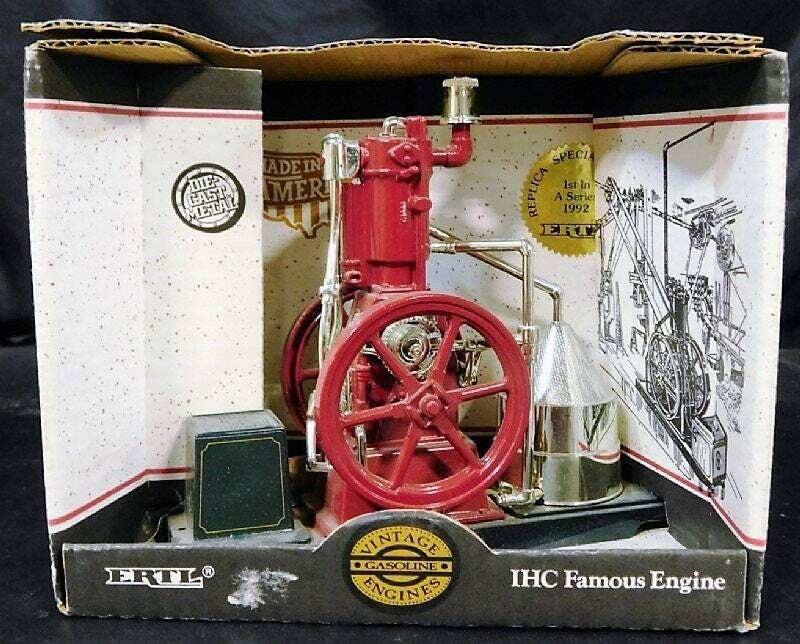 From the "Blueprint Replica Toys" series, No. 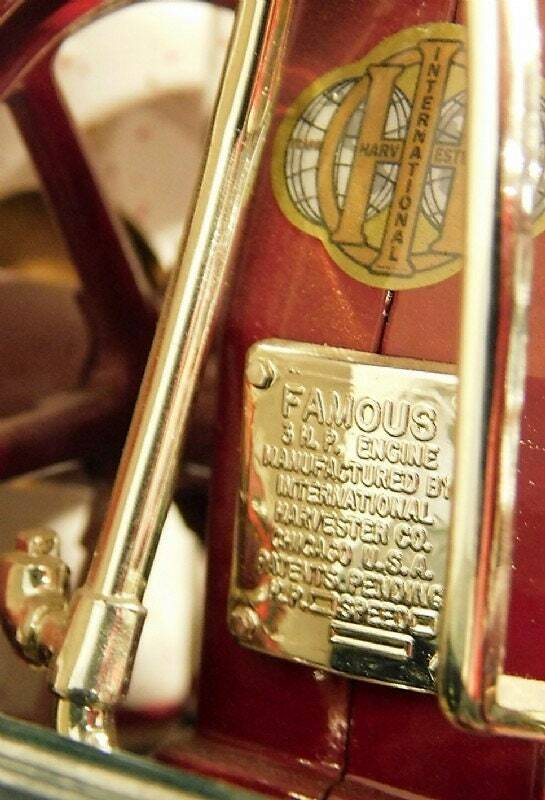 615, Made in USA. Model measures about 6.75" tall. 1st in series. 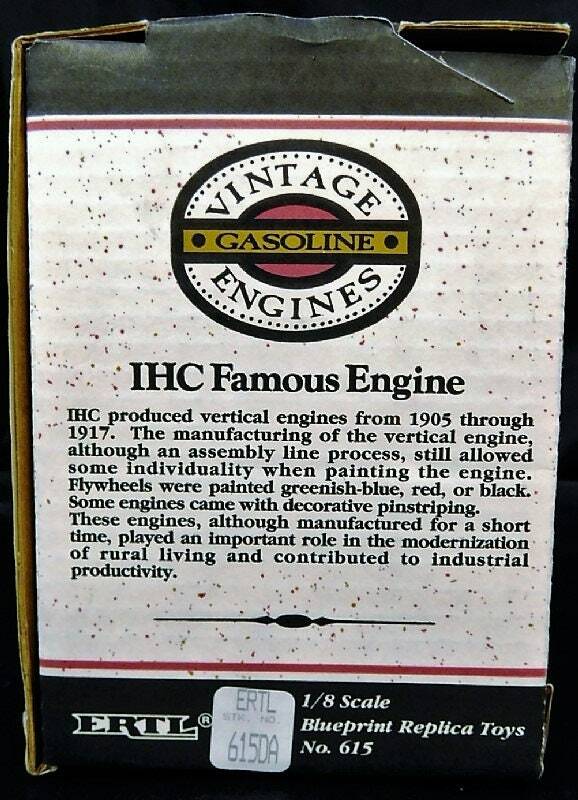 Part of the great heritage of International Harvester Company, IH, Farmall, and McCormick Deering. 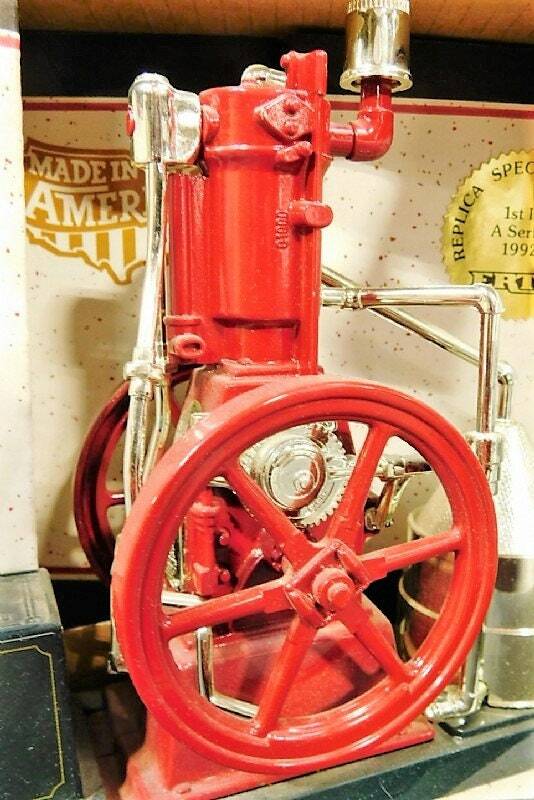 One of many treasures we have from Dyersberg, Iowa, including some old red, some old green, and some old orange.